Walk Date: 11 Sep 2016. We set off for Belfast on Sunday morning with the intention of completing our final CHP walk on Monday 12th but as the weather was so good on the journey up we decided to go ahead and do the walk on the 11th instead. Both Dillon(dillonkdy) and myself were excited that the time had finally arrived, time to complete our last County of The County High Point Challenge. 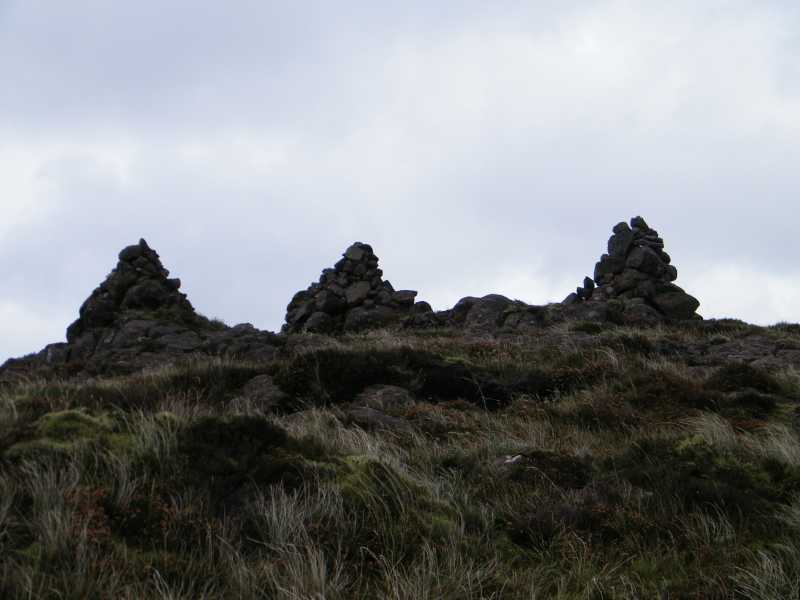 Once again we stuck with the route described by Kieron Gribbon’s book “Ireland's County High Points – A Walking Guide” and parking at the start point on the old Cushendun road just after 1:30 there was a handy breeze blowing as we put on our gear. The majority of the walk is over boggy ground and probably a lot worse in winter months. From our start point we only had to climb 215m to a very windy summit, a return journey to the car of just over 6 Km which we completed in 2 hours. So that was the final one complete, at the age of 9, Dillon(dillonkdy) could now say he was the youngest to have completed the County High Point Challenge.